Bagpipes by tradition were created to supply music for folk dancing and traditional country-dances. The pipes however are not featured very frequently in modern popular music. As we have mentioned previously the music covered by the pipes is usually used in military bands and marching bands. In Scotland there is still a heavy following of traditional highland dance, which features the pipes. More modern musical pieces that have featured the bagpipes include ‘Mull if Kintyre' by Paul McCartney and ACDC's ‘It's a long way to the top'. Traditional music still remains popular in Scotland and Ireland and the bagpipes are still featured in some of the new music created by these more traditional bands. Bagpipes in Scotland are still a widely followed tradition and pipers are often called to play at weddings, birthdays, funerals and town events. They are also famously called upon on Burns night to ‘pipe in' the Haggis! 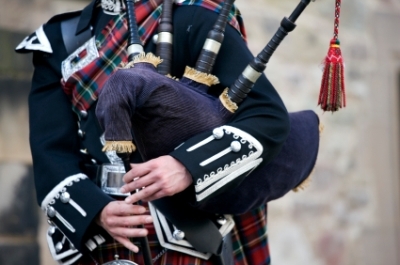 These popular traditions ensure a constant demand for bagpipes that is sure to continue ensuring the bagpipes remain popular in modern Scotland.